Hey everyone! I'm currently in a teeny village somewhere in Wales right now and the weather is super crappy so I am confined to the walls of the hotel room. Luckily, there is free Wi-Fi access so I can blog - wuuhuu. I kind of went mental in Zara and bought a few things on sale, one of them being this slouchy messenger bag with a rose gold clasp. 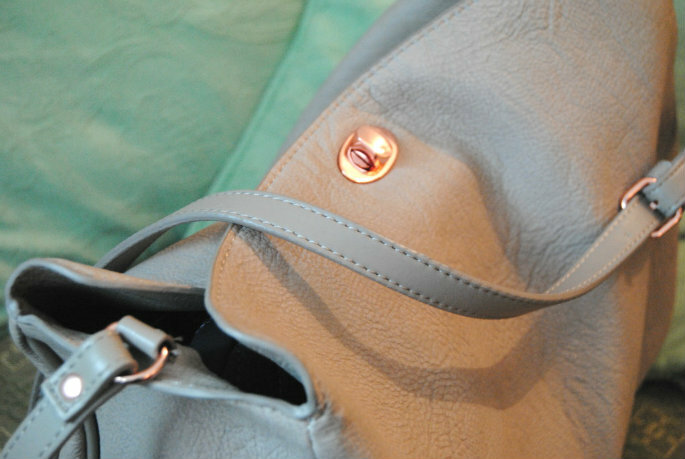 I've wanted a neutral/beige/grey bag for ages but I never really found the perfect one. I saw this back in April when I came back but I didn't think I would use it that much so I put off buying it but then, of course, I could not stop thinking about it. I was so happy to see it on sale on Tuesday! It is now my travel bag for the summer. I bought a few other things but they are all packed away so expect a post soon. Bye for now lovelies. 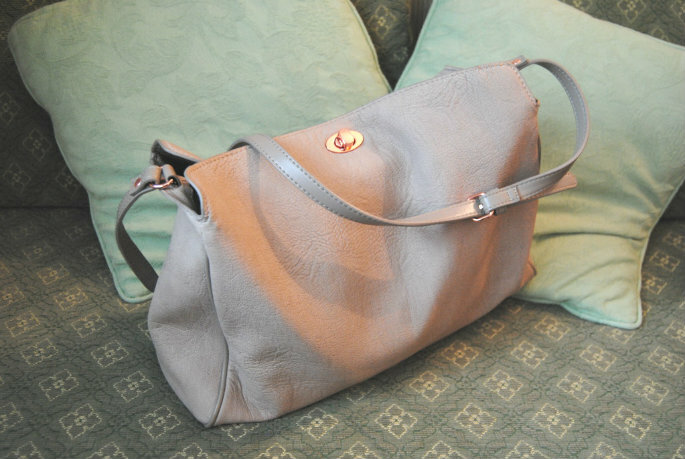 so lucky to have found this in the sale, beautiful bag!